← 2004’s Blood Orange Halloween Kit Kat! 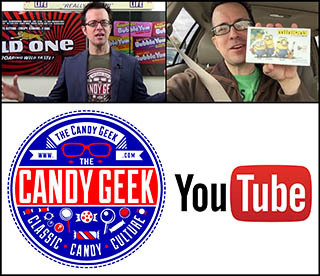 Today’s post is a direct follow-up to last year’s CountdownToHalloween entry where I covered Necco’s super-cool Batwing Wafers. 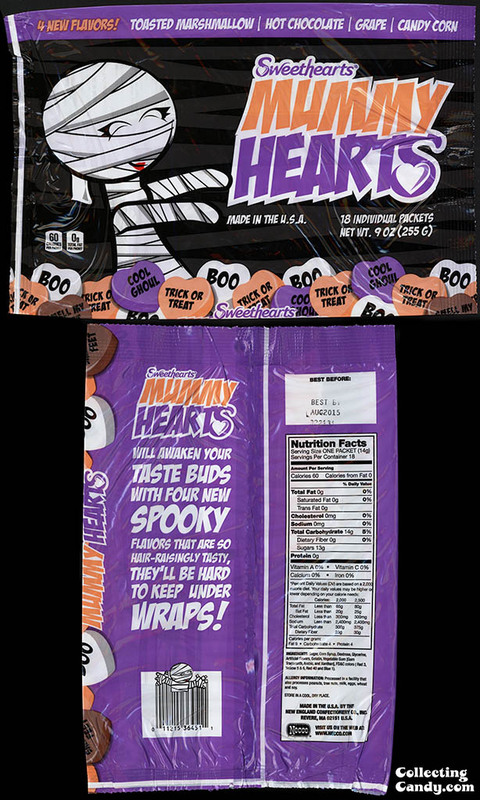 You see, in 2013 not only did Necco introduce of that fun seasonal product but they also wowed with the premiere of their Mummy Hearts, a Sweethearts-branded conversation heart just for Halloween! I was a big fan of the style of Necco’s Batwing Wafers and I definitely dig Mummy Hearts. Offering the classic conversation heart shape, Mummy Hearts feature Halloween-themed messages printed on them. More than just fun Halloween messages though, these Sweethearts Mummy Hearts further stand out from their Valentine siblings with a decidedly unique and modern flavor assortment: toasted marshmallow, hot chocolate, grape and candy corn. Yum! As much as I love these already, I think I would be over-the-moon if they decided to do a release them in the classic Sweethearts Conversation Hearts box packaging. I’m crossing my fingers for 2015! 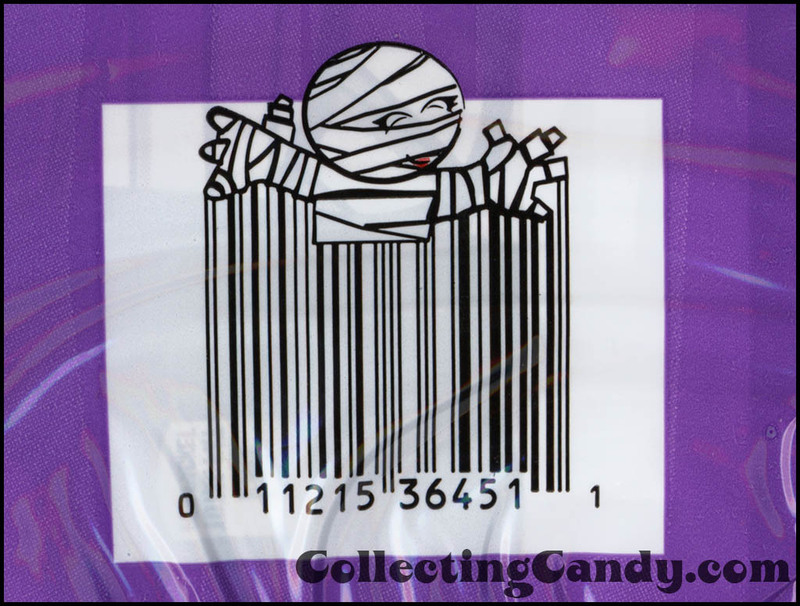 And that’s everything for today’s post and a look at a new favorite, Necco’s Mummy Hearts! See you next time! This entry was posted in CountdownToHalloween, Halloween, Holiday, Necco and tagged Boston, candy collecting, candy collection, candy collector, candy wrapper collection, candy wrapper collector, collectible, collecting candy, confectionery, confections, conversation hearts, Halloween, Necco, New England Confectionery Company, packaging, seasonal, sweets, vintage candy wrapper, wrapper. Bookmark the permalink.